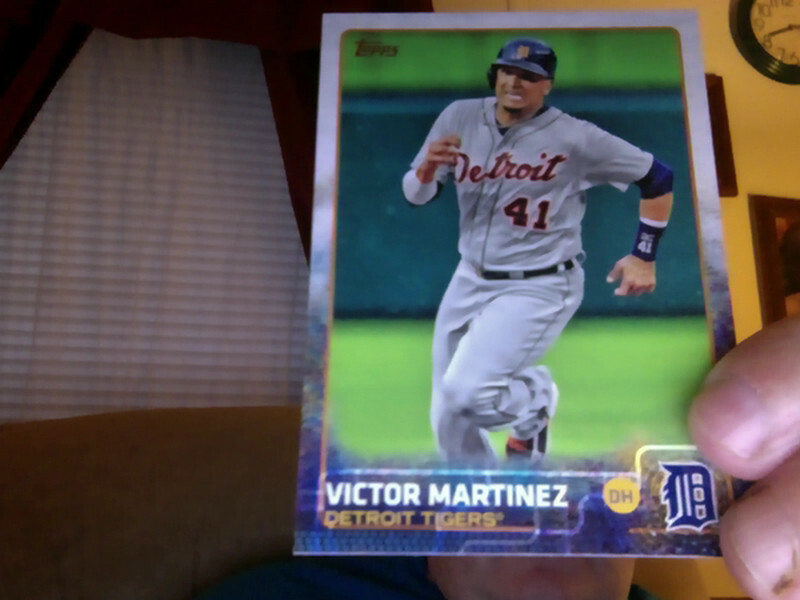 #PackADailyCircus - 135 - Ginter? I hardly knew 'er! Congratulations, managers! 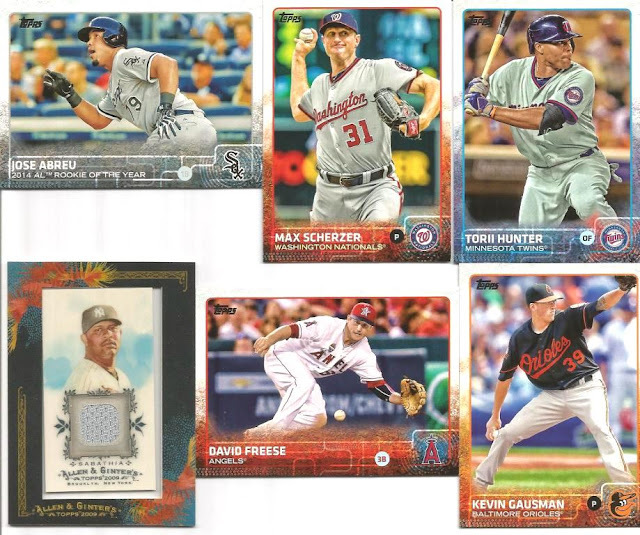 Our first Ginter nets us four hits and two free agents. I knew nothing about the surfer before I opened the pack and I know I know just above nothing about her. In today's world, that means I am now qualified to go on a news program and serve as an expert commentator. 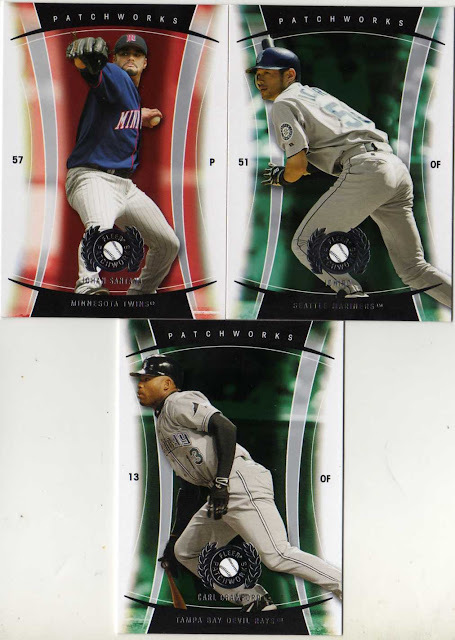 As for the other cards, those Starting Point cards are kinda cool. Since I bought a blaster, we'll be seeing more A&G for sure. And, of course, I am participating in this season's Gint-A-Cuffs, so we will have a whole hobby box chock full of 'em before long. Hey everyone! Welcome to today's pack breaks or is it packs break? 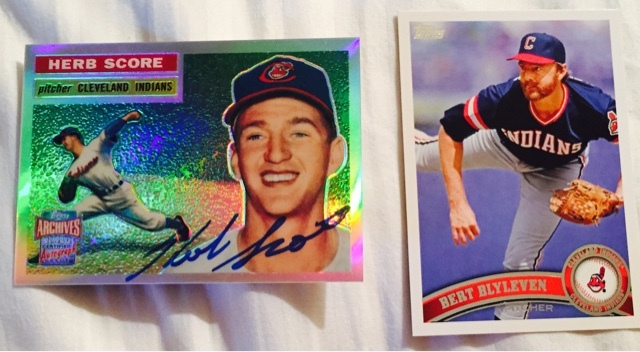 I am busting two packs, so whichever applies, go with that one. 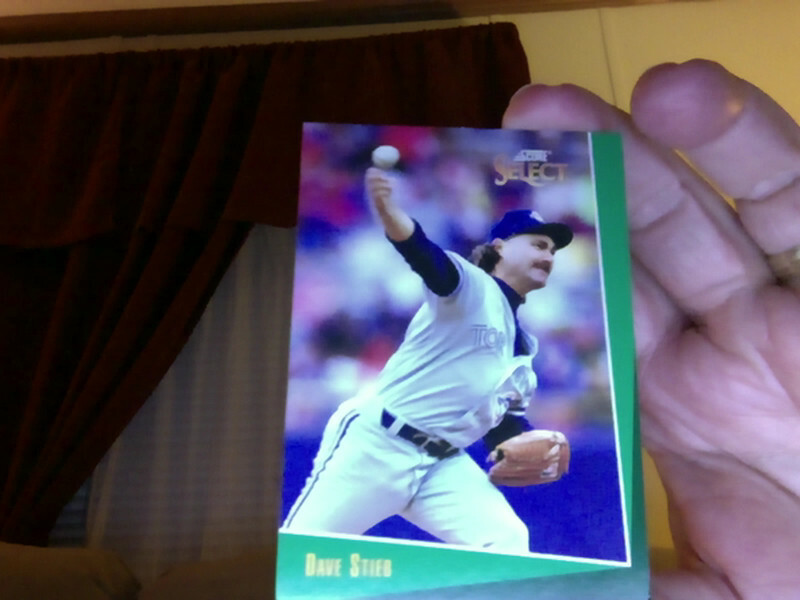 One pack, though, only has one card, I think. I'm not sure. Let's take a look. 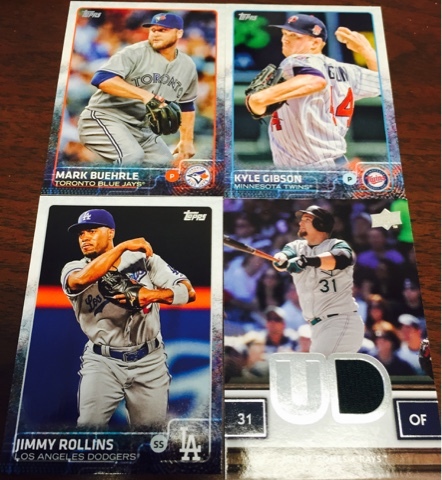 First up, we have one of PatP's custom 2015 Series 2 packs. You know what that means: MOJO! Congratulations to Thoughts and Sox! What a great pull! We also extend out our hands in congrats to the other folks who pulled players from this pack. Brian tricked us! Hahaha, but in one of the coolest ways possible. That MLB batter logo is incredible. I am not a fan of manufactured relics usually, but that shiny piece of metal is fantastic! Congratulations, RJBreeze! And, as a surprise, congrats go out to the other two who pulled cards from a pack I thought was only going to have a single card in it. Can't complain there! #PackADailyCircus - 123 - The Captain Goes Back-to-Back! 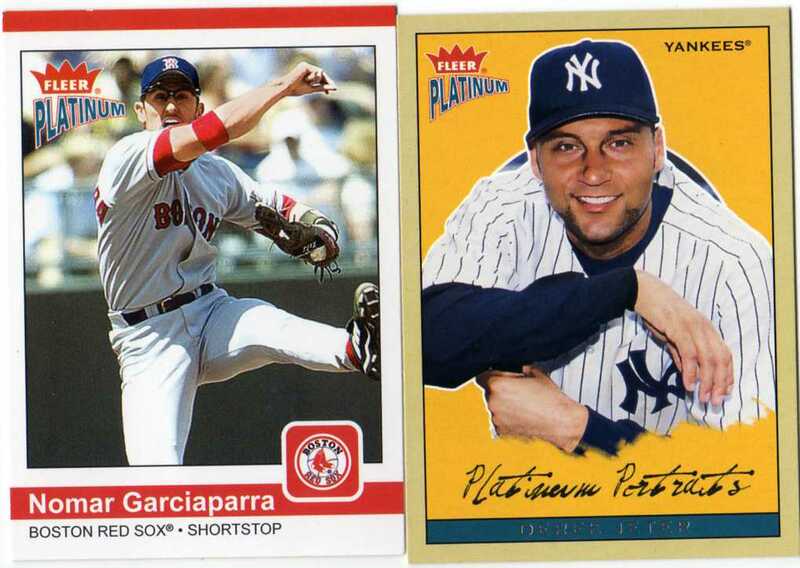 Congratulations to the Captain for getting back-to-back cards! Congrats to everyone else that got cards, too! We only had two free agents here. Speaking of free agents, I will send out the draft list for this week. Sorry it is late! Good evening, everyone. I hope you had a great Monday! I've started a new online radio program with a couple colleagues: radio.edutechguys.com. We broadcast live each Wednesday from 3p-4p CST, but you can hear previous shows by going to the link and clicking on Showreels. We talk educational technology and have special guests nearly every week. It's been a TON of fun getting back into the "radio" world. Maybe I need to start up a Tribecards Radio program! Haha! Well, until then, you're stuck with me opening packs. Tonight, we have another custom from Brian! The Jobu lead off and then finish out the pack! Nice work! 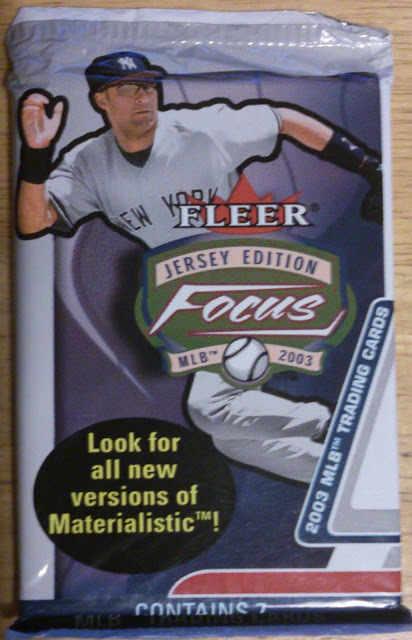 Meanwhile, how about that Sabathia jersey card!? That's what I'm talking about. Brian has done a killer job putting these custom packs together! Thanks again! Hey everyone! I went to my cousin's wedding on Saturday and by the time we got home, I got out of my clothes and went straight to bed. I don't even remember getting out of my clothes, actually. No, I hadn't had too much to drink - I gave up drinking going on 25 years now), it was almost midnight and we'd had a long day. So, I just ran the draft for this previous week. Let's take a look! Then, we ran the draft, and here is how everyone fared. 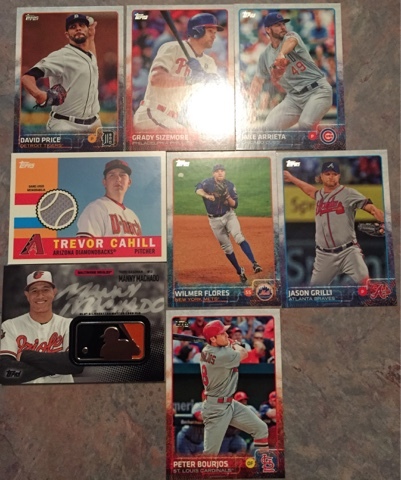 I really wanted Asdrubal. Dang it. Congrats to everyone that participated! 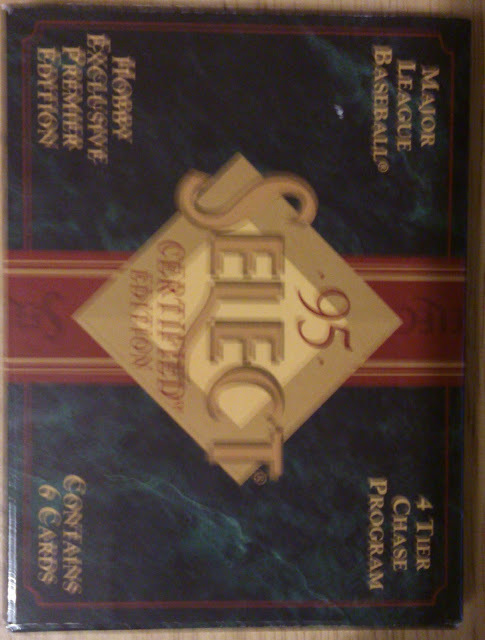 I hope you managed to snag a player or two for your collection! 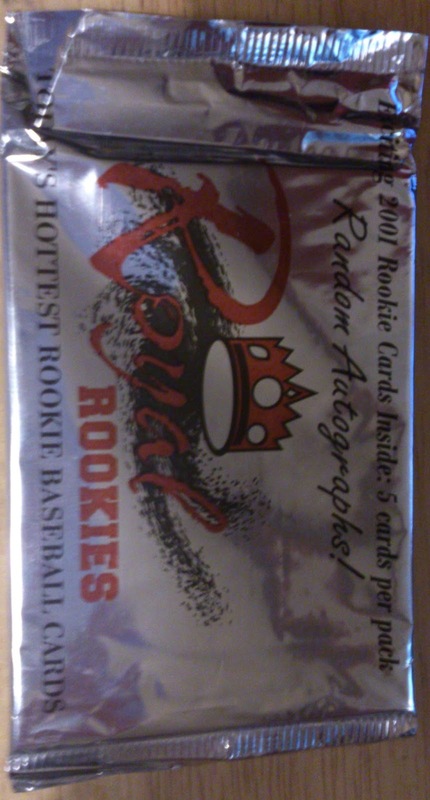 Congratulations to CaptKirk42s and Ventura County Royals for each scoring two hits from this pack! Saitama Sushi and Alecs All-Stars snuck in there to grab a couple cards. I am surprised BIP is a free agent! Welp, I guess someone is getting Bipped here soon! Well, lookie there! Congrats to the Hadsalls for pulling two cards. Congrats to everyone else for scarfing up most of the rest of the pack! This pack is like a mirror image of the other one. Weird, eh! 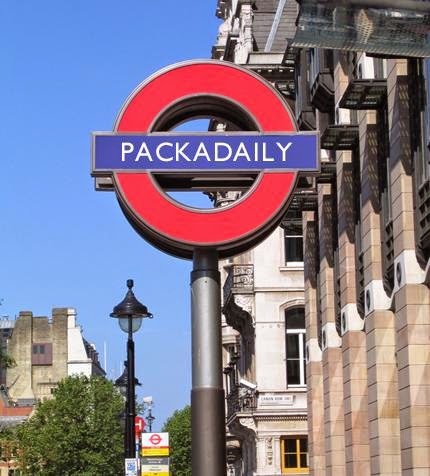 #PackADailyCircus - 115-119 - It's a Pack-A-Palooza! 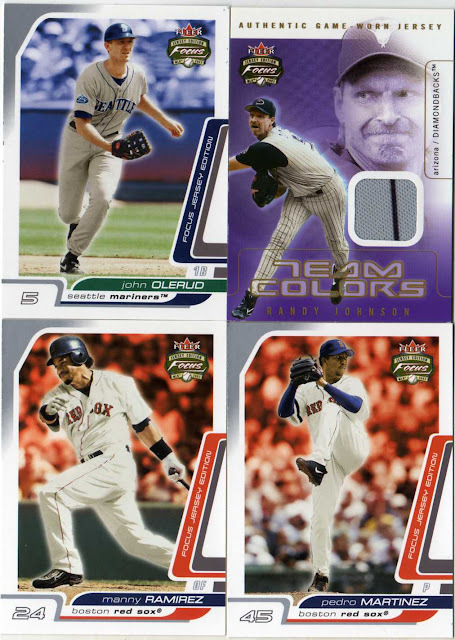 I've been so far off and out of my pack-busting game lately, I thought I would jump in with a slew of packs today. Let's ramp up our player stacks and, hopefully, build a nice-sized pile of free agents to be drafted. Well, we started off with a couple hits, but then whiffed. On the other hand, we've certainly kicked off the free agent pile with a bang! There we go! 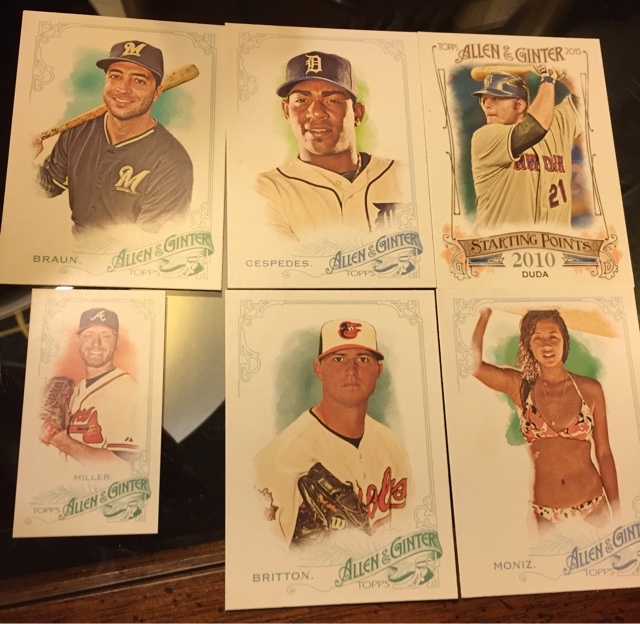 Arpsmith grabs two hits and several other folks add cards to their stacks. 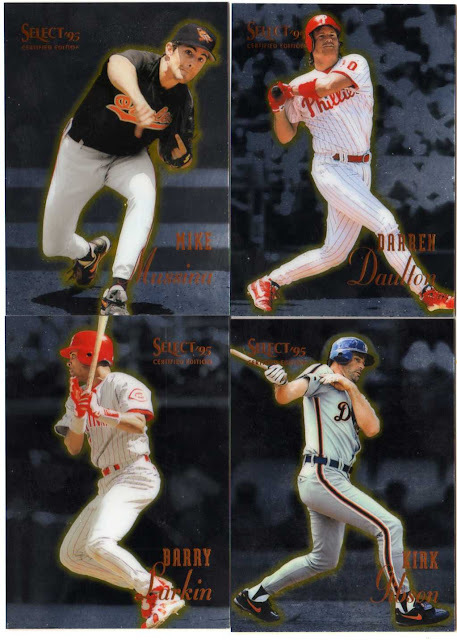 We pulled a couple free agents, one of which I've never heard: Lusader. He's new to me. Hey there! A few folks managed to get multiple hits and I even scored a player! 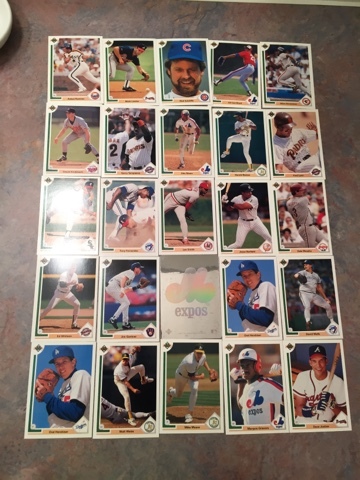 Congrats to everyone who took home a card here. We actually had a pretty nice distribution. 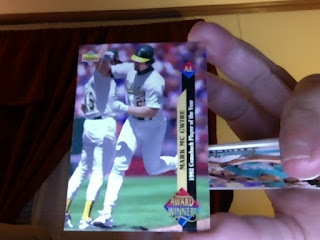 Well, Alecs All-Stars snag three hits by grabbing Karsay twice in the same pack. Seems weird that Jackson and Junior are on the free agent list. Guess we'll take care of that soon! Wow! Thoughts & Sox and Alecs All-Stars battled it out through the whole pack. T&S hung in there though, not only garnering the most hit in the pack, but also managed to go back-to-back! Congratulations to all of you that got cards from this pack, and especially to those of you who snagged multiple cards here. How is Youkilis still a free agent?? That seems impossible. I've searched my documents, though, and it seems to be true. I am still shaking my head. Well, that wraps that up! We pulled about 68 hits and 53 free agents. Not bad at all. Happy Birthday! Er, that is aimed at my daughter who officially earned the title of "teenager." We surprised her, or well, tried to surprise her, while she is away with friends. Unfortunately, we ended up spoiling the surprise because we had to ask for directions (not exactly right, but close enough for a public post). In any case, because of our surprise trip, I didn't get a post in on Tuesday. So, here we go! This is a BoPack! I love these custom packs from folks! Talk about walking down memory lane. How about a 1980 Topps? 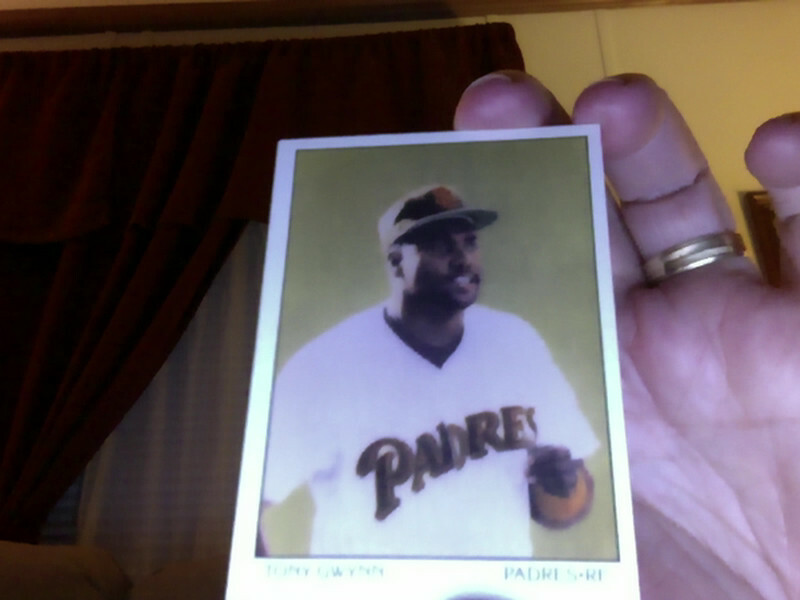 Or the Dream Team Gwynn? 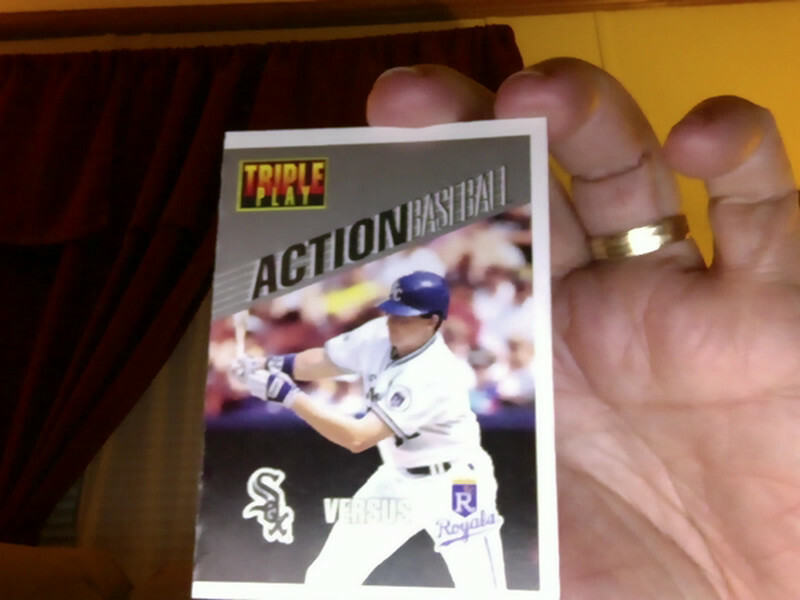 Or maybe a Triple Play Action game card? Yeap, we got 'em all here. Congratulations to Alecs All-Stars for getting two hits and to each of the other managers who pulled players for their stacks here. On the other side, we have a lot of fresh faces for the next free agent draft. 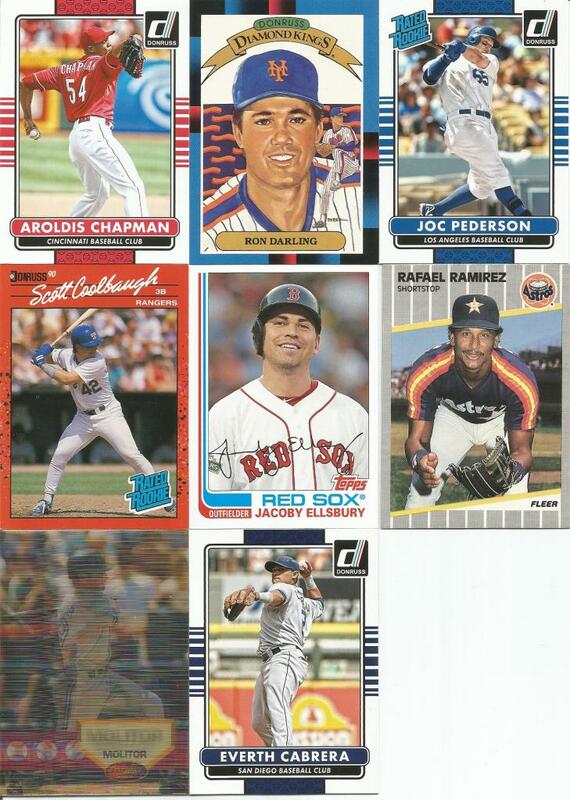 #PackADailyCircus - 112 - Still Playing catch-up - BIG Hall-of-Famers! Dennis Eckersley - A's - Illinois Jafronius (Wahoo!!) - Now THAT is how to kick things off, for sure! How about a little Eck action!! Willie Wilson - Royals - Free Agent - Another surprise free agent. Welp, he'll be in the hunt for sure if I can verify his eligibility! Andre Dawson - Cubs - Arpsmith (Wahoo!!) 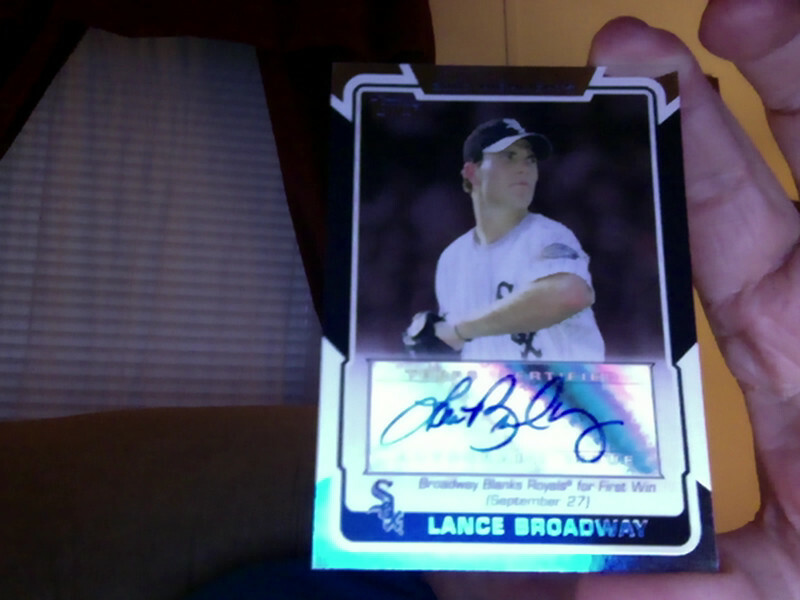 - Another great pull, another HOF'er! This is a BIG pack, indeed. Jeff Hamilton - Dodgers - Free Agent - According to the back, he loves(-ed) bowling. "Here, I prefer strikes" it says. So witty, those Topps writers. Mike Gallego - A's - Free Agent - The second A's player to make an appearance. This one is up for grabs. 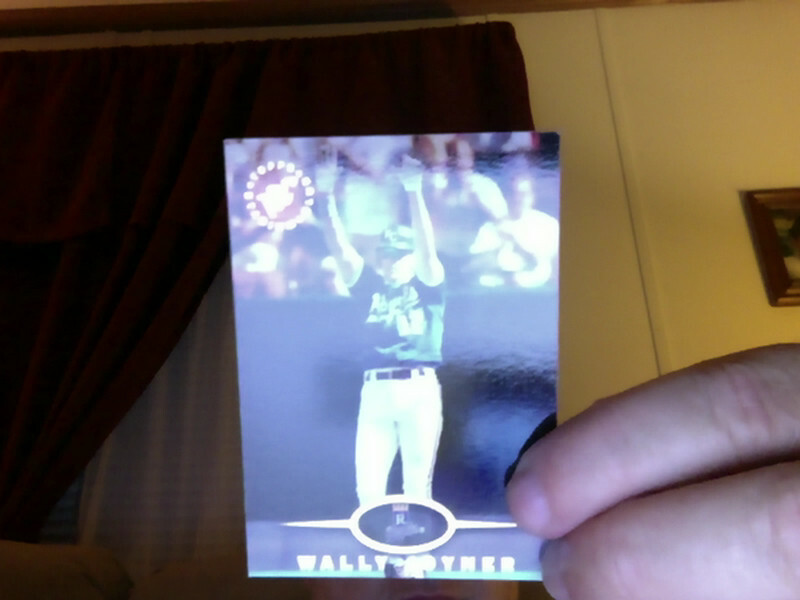 Pat Tabler - Royals - Ventura County Royals (Wahoo!!) 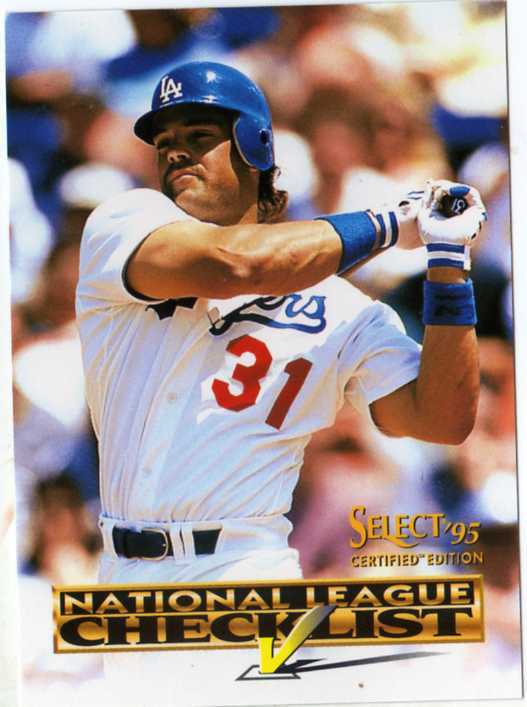 - Unfortunately for our third hit, he was never even considered for the HOF. 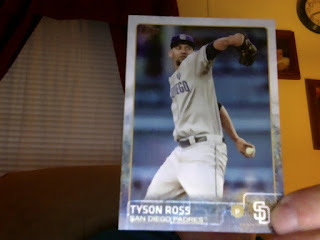 But, it makes a great card to add to the VC Royals stack! Eric Davis - Reds - Northampton Therapists (Wahoo!!) - Davis was considered for the HOF in 2007, but fell very, very short of getting enough votes. Like Tabler, though, this card makes for a nice addition to the Therapists collection. 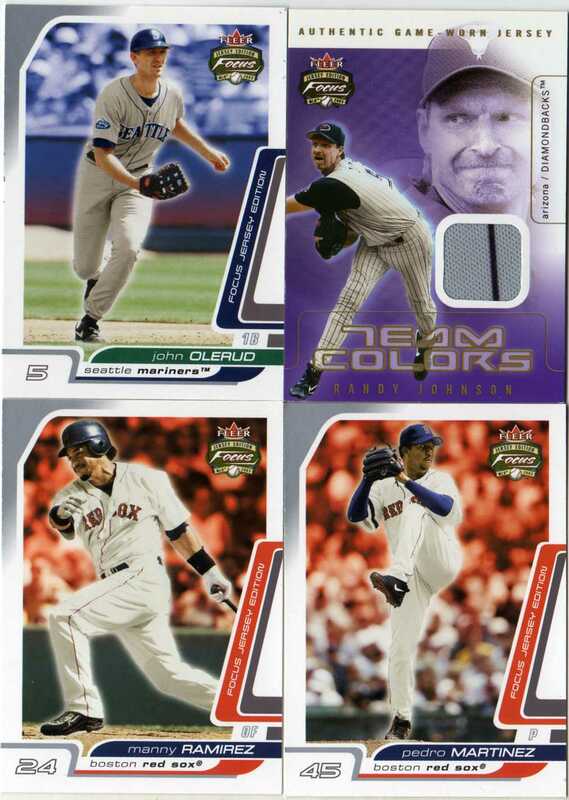 Congrats to HOF-nabing managers and to the other who will get some cool cards for their collections! #PackADailyCircus - Lagging behind... Worth the wait!? You AUTO believe it! Hey there folks! I don't know what breath-clogging spell Dallas cast upon me, but it has absolutely taken me for a loop - and not the good kind that my kids and I experienced at Sea World in San Antonio over vacation. In any case, I missed Monday's post without even realizing it. Man, does this sound like whining? Haha, in my current state, it does. So, enough whining. Let's get ripping! 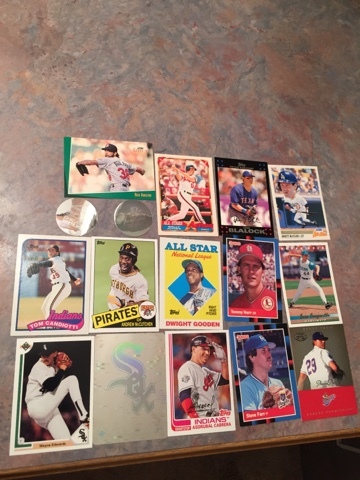 All the cards are 2015 except for the autograph. Speaking of.. WHOA! Man, what a cool card! Congrats to the Hadsalls for that gem. 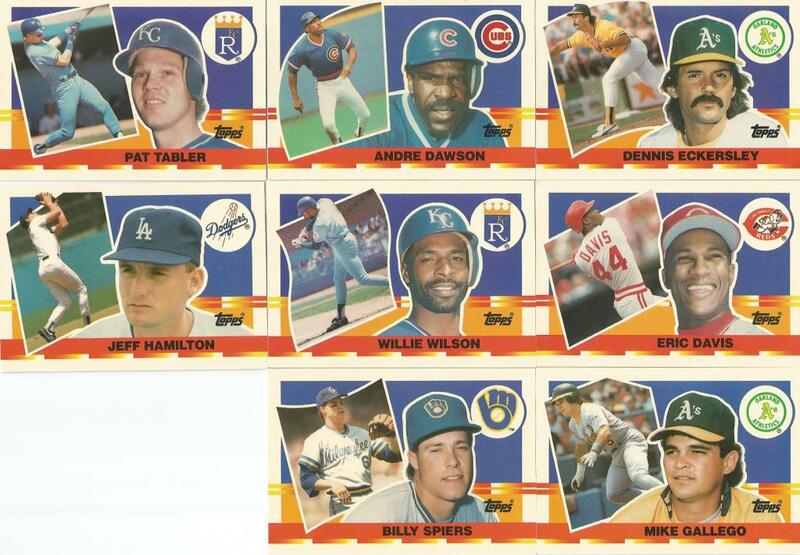 Let's also give a shout out to the other managers who added cards to their stacks, too. I am very, very surprised that Asdrubal is a free agent. I will double-check once my head is cleared up, but so far he is wide open for the taking. 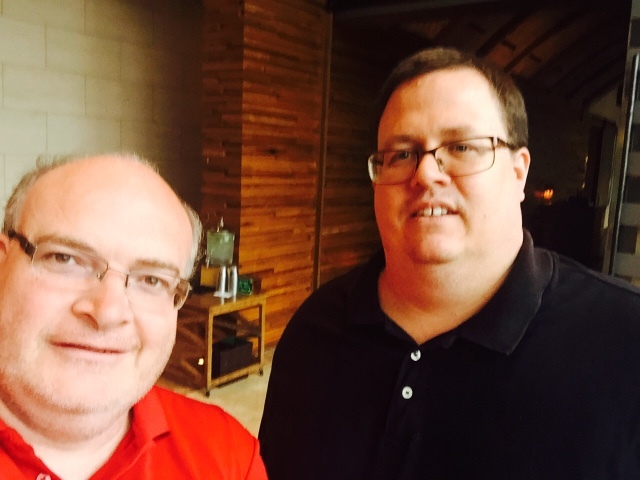 This morning, I got to meet fellow card blogger, Brian, known as Play at the Plate! 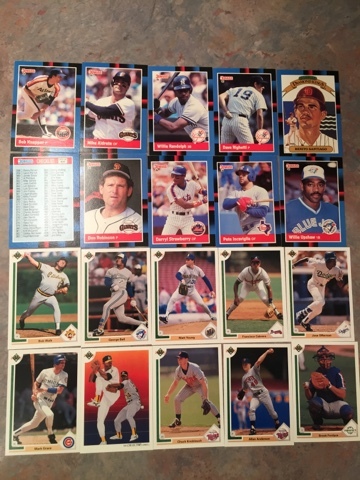 We spent some time talking work, card shops, and collecting/trading. It was so cool to meet Brian and I hope we get to meet up again some time - maybe at a Rangers game. Though I managed to show up empty-handed, he had a box of Indians cards for me and a box of his custom packs for the PAD Circus! Thank You so much, Brian! It was great meeting you in person and can't wait to meet up again sometime. All right. Rippin' packs. No fuss no frills. Solid. Just like Upper Deck. 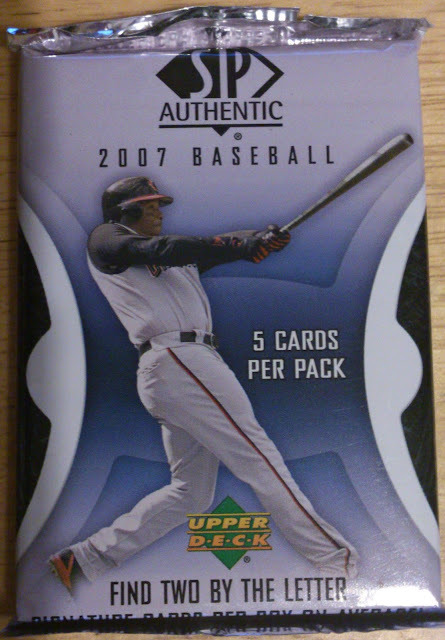 Here's 2007 SP Authentic. 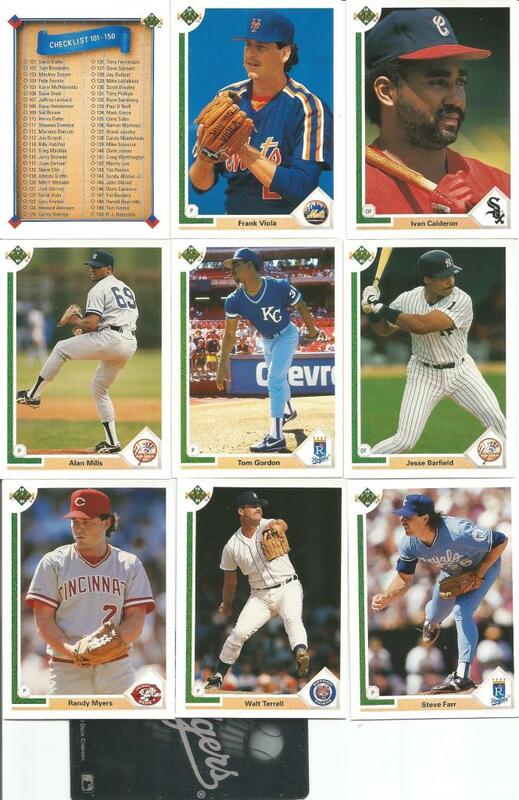 One card away from a perfect pack and Trevor Hoffman is the guy who's not claimed yet?? I need to have --David double check the manager list because I'm doubting myself now. Nachos walks away with the insert card! 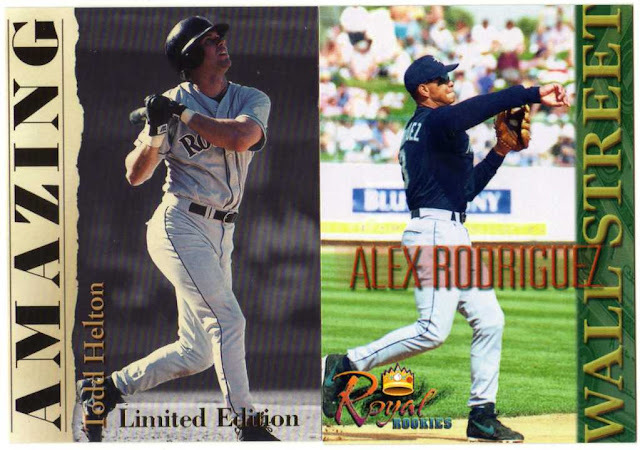 Also notice that while the base card design has some similarities with the Fleer Patchworks cards from yesterday, I'm not making fun of Upper Deck. 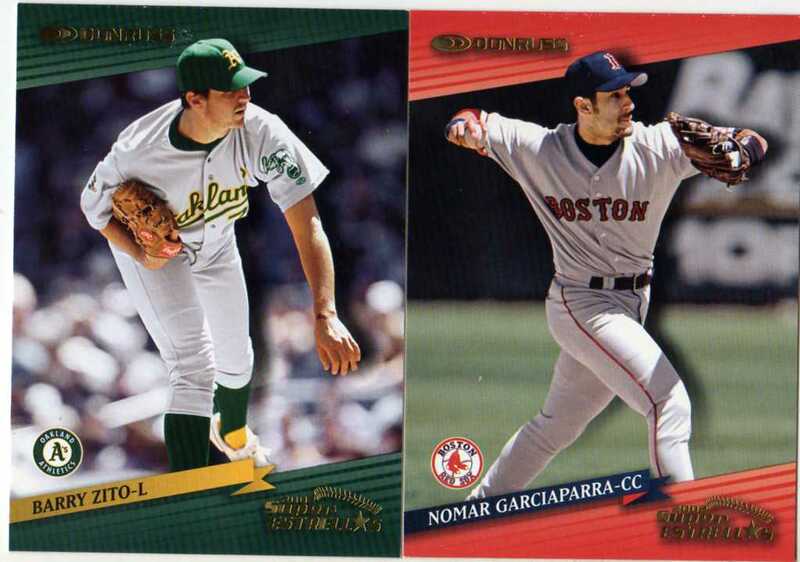 That's because I'm biased Upper Deck is cool, man. SP Authentic was on the high-end of UD products in 2007. Let's open one from the low-end. 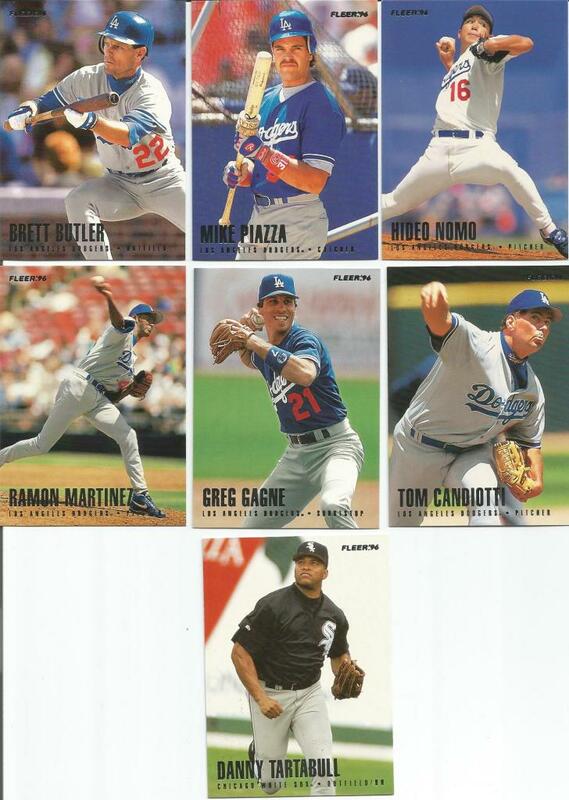 2007 Future Stars. I'll be perfectly honest and admit I don't like this set. The green and bronze design doesn't look right, it's impossible to pull future stars in a product called Future Stars and the FS logo looks like a bootleg Tron light cycle game. We did get 5 cards in a 4 card pack though, so that's nice. 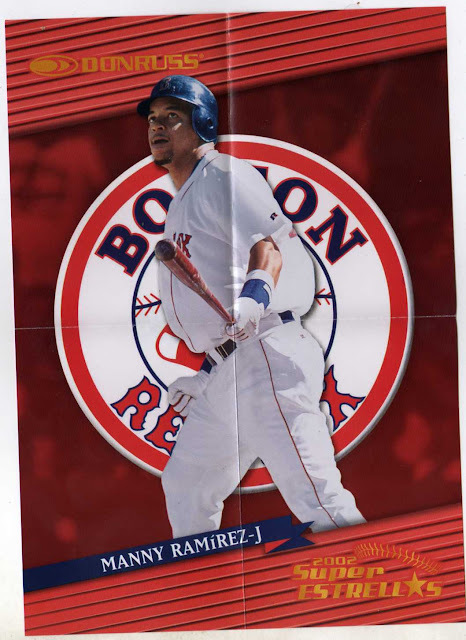 One last pack from 2007: One of my most favoritest sets ever! 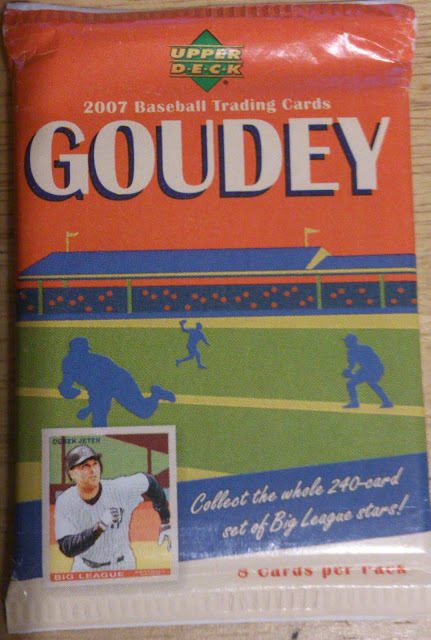 2007 Goudey!!! Wahoo!!! 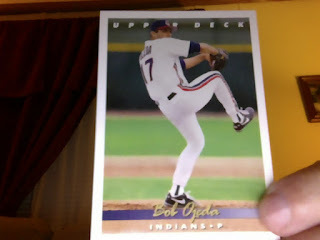 Tribecards finally got a card! And it's a White Sox player! I'm happy though because I got to rip a pack of weirdo mini sized cards with art deco backgrounds ganked from the 1934-36 Diamond Stars set! No perfect packs, but that just means more players for the draft. Tomorrow: Pack a Day Circus goes a little weird. Oh wow, it is time to open up more packs again? It feels like I just opened packs yesterday! This is very difficult, I don't know how --David does it all year. All you ingrates get to the comments and thank him for doing this very difficult thing right now! 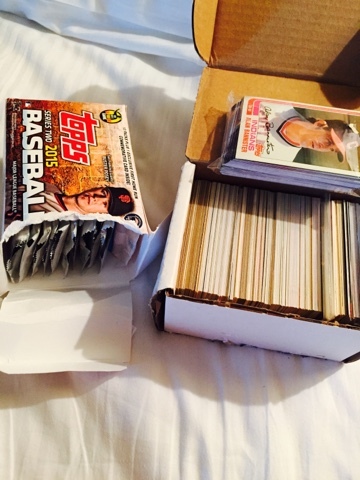 Ok, you can go to the comments after I rip some packs. Let's mangle some oddball Fleer stuff. 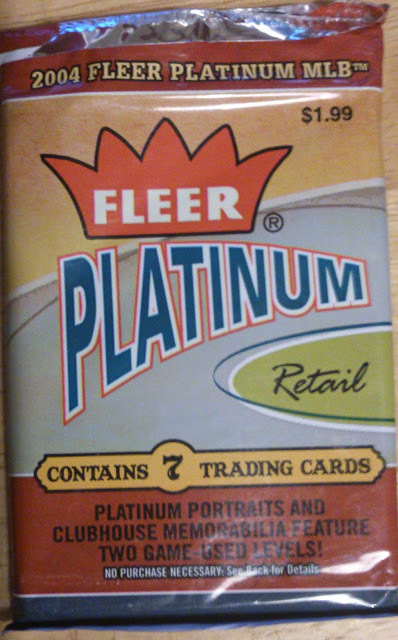 Fleer had a lot of oddball products in the early '00s, that might be one of the reasons they had no products in the late '00s. 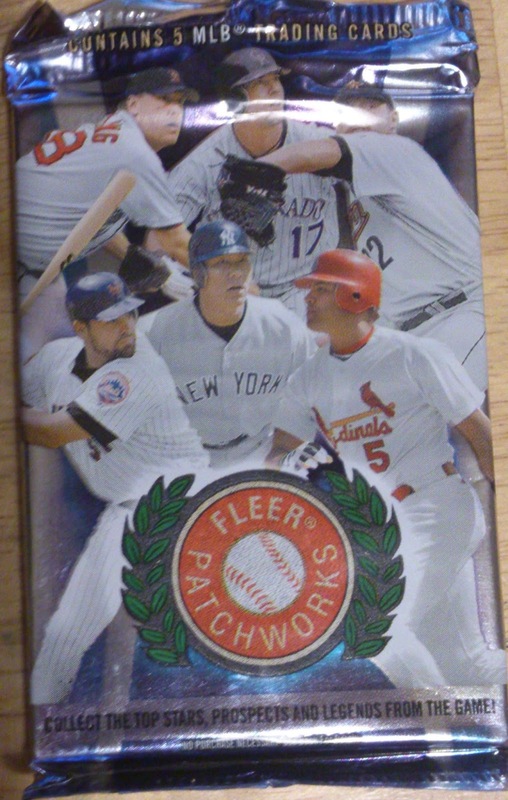 Here's some 2005 Fleer Patchworks. 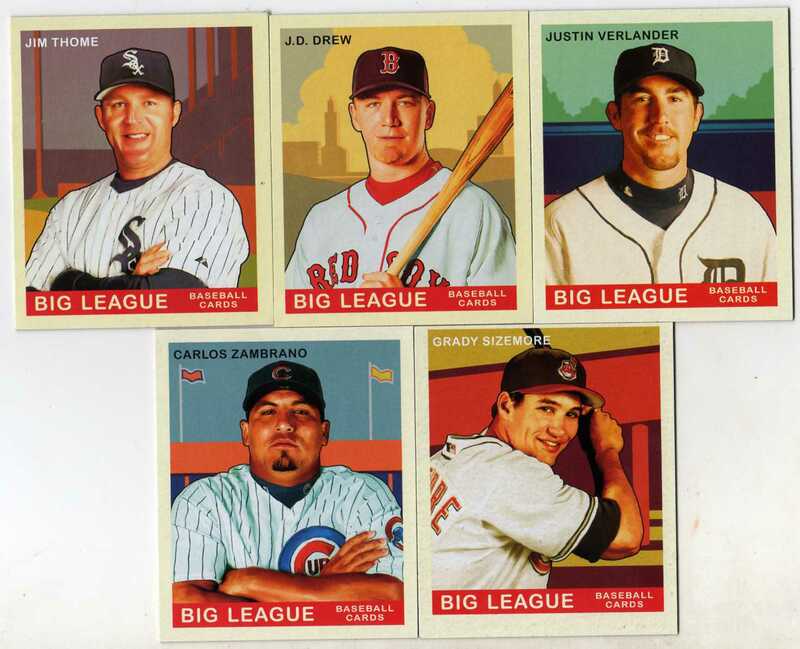 Illinois Jafronius bookended the pack with two hits! Patchworks' gimmick is it had relic cards with patches on them. 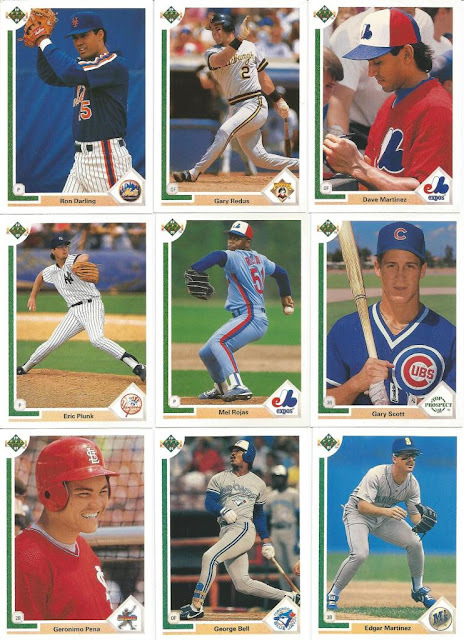 Usually at least - some of the 'patch' cards from the inaugural set had no patches. We got no relics here so no problem! As you can see Donruss had some competition in the 'out-there' baseball card design department, but these look kinda nice if you stare at them for a while. Let's go from futuristic design to a retro product. 2004 Fleer Platinum. Bo Rosny with the Mojo Jeetah! 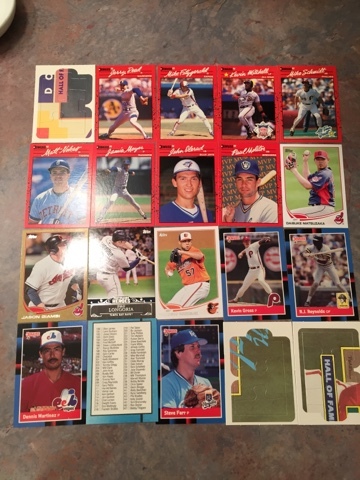 As you can see this set was loosely based on the 1984 Fleer design but took some liberties reinterpreting it for the modern age including color coding the border by team color. Lots of free agents here if you want to snag one. That's 12 cards, we'll finish up the post with a pack of 2003 Fleer Focus Jersey Edition. 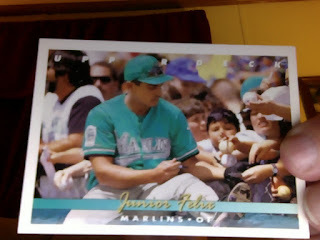 Because everyone was jersey card crazy in the early 2000's. Wahoo!! 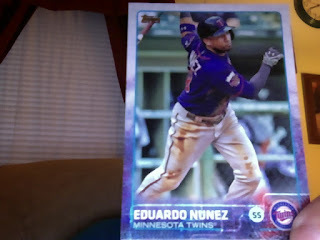 A Jersey card in Jersey Edition! I hope Alec's All-Stars is the guy hassling me on twitter because he hasn't gotten any hits. I'm sorry you haven't gotten hits! You should have bribed persuaded me to maybe stack the deck a little in your favor last week! It's too late now! Back to this pack, we have base cards with very busy borders and a jersey card with way too much going on but there's a purple pinstripe so no one cares about design. Look how angry Randy looks on that card. Grrrrr! There are too many hits! I can't keep up. 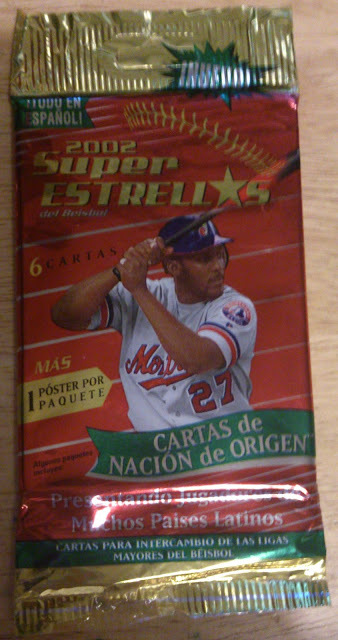 Let's see if I can make it to tomorrow and open up some Upper Deck stuff.